The Wedding HQ is situated in the heart of Robin Hoods county of Nottinghamshire, our gorgeous boutique can be found in the idyllic countryside village of Pleasley just based on the outskirts of Mansfield. 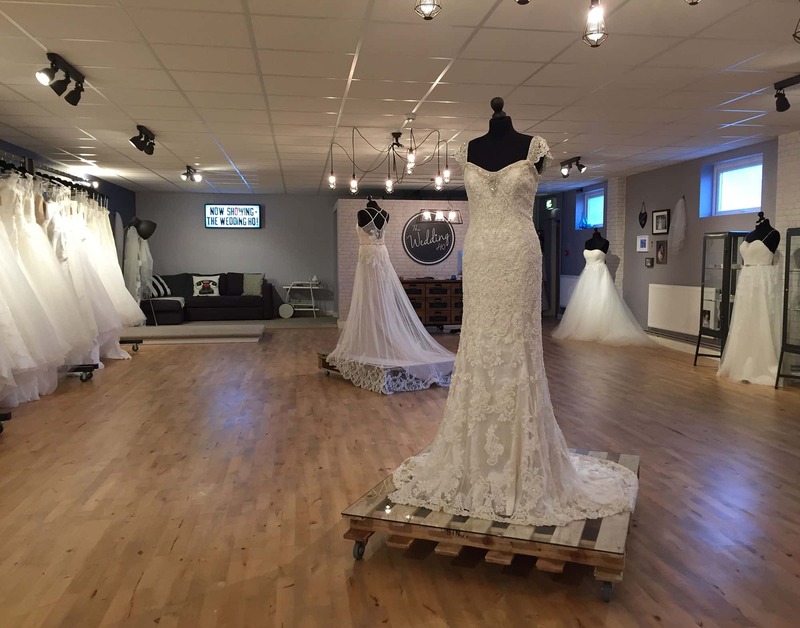 The Wedding HQ is fast earning a impeccable reputation on the bridal scene, with the aim of making you feel immediately at ease whilst helping you choose the perfect wedding dress for your special day. Each bride will have the help and assistance of their own dedicated and experienced bridal consultant that will help navigate through the many choices of fabrics, silhouettes and designers. Expressing your needs and individual style is key, therefore you will receive friendly and honest advice whilst obtaining a personal service every step of the way. We have a fabulous selection of wedding dresses from top bridal designers such as, Essense of Australia, Everybody Everybride, Martin Thornburg, Enzoani & Mark Lesley. Ladies, you will be utterly spoilt for choice, we have over 100 fabulous wedding dresses from a size 8-30. We also stock bridesmaids dresses from VK maids, and many renowned designers of accessories of belts, headdresses and veils. Every element from our stores design to the service that we provide has been considered to enhance your bridal experience! Making that all important journey of finding your dream dress a magical one! You have a question regarding any of our gowns and services? No problem, The Wedding HQ would love to hear from you!